The sources of inspiration for a brand name are many and varied. The most obvious is to use the founders’ name and examples include Woolworths, Kellogg and Birds Eye. A slight variation is to use the name of the founders’ son or daughter, as is the case with Mercedes. Many names are description of the product or a product feature – Cadbury’s Crunchie is crunchy and British Airways is an airline brand from Britain. Some names are more associative. The marque’s original founder, Sir William Lyons, chose jaguar because it evoked grace, speed, power and beauty. However, until recently I had never heard of a brand named after a tattoo. “Times were hard in 1880s. Beef, mutton and dairy produce all alike were difficult to dispose of at anything like remunerative prices. But there came to farm near Hamilton a Mr [David] Gemmell from California and he started making butter as carried out in the United States on a somewhat improved system from that of the ordinary farmer. One day he invited Mr Henry Reynolds to take a pound of his butter and keep it in his cupboard for two months and at the end of that time he said it would be found ‘perfectly sweet and good’. The boast was proved correct. ’Shortly afterwards,’ stated Mr Reynolds, “Mr Gemmell told me he had decided to sell his farm and return to Los Angeles. It struck me that if butter of such quality could be turned out on a large scale and exported, there should be something in it. 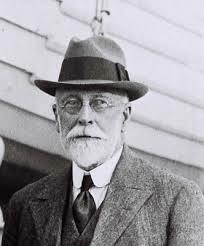 “Henry Reynolds was up betimes on November 3, 1886. After an early meal and with the blessing of his wife who, valiant pioneer that she was, helped him so much in those days, he hastened from his home to the simple little factory erected a mile or so away. There he busied himself in preparation for the arrival of his neighbouring farmers with their morning’s milk. For this was the day when butter was to be made for the first time in New Zealand on the factory system. With typical Cornish thoroughness … he had already had a trial run on the separator the previous evening with milk sledged from his father’s farm by a lad named Hicks. The trial had been satisfactory so Mr Reynolds waited with equanimity for the dawn of the factory era. It was a name that must have seemed an unusual and even incongruous choice at first, but was to become more and more appropriate as the brand was increasingly shipped around the world, firstly to Australia, then China and Hong Kong before finally making its way to the UK in the early 1890s. 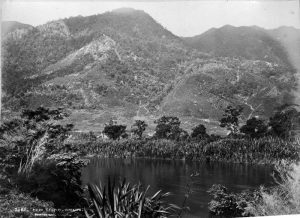 By 1894, Reynolds and Company owned a number of butter factories and creameries in Waikato, Bay of Plenty and Taranaki, producing a total of 300 tons of Anchor butter a year. 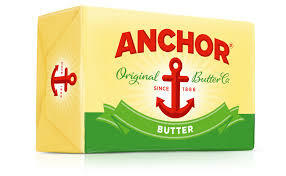 Nowadays Anchor is still one of the top global brands with a wide range of dairy products sold in 70 countries. So, what do you do with your evenings if you’re an Air Force engineer and working on the Stealth Bomber during the day? 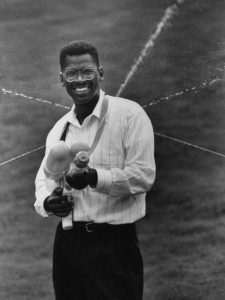 Well, if you’re Lonnie Johnson, you invent a new type of high powered water pistol and give it to your daughter. 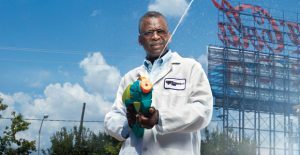 The plastic gun turned out to be the prototype of the Super Soaker, the water pistol that transformed water fights around the world. ‘The professor’ got a scholarship to Tuskegee University, famous for the Tuskegee Airmen, where he got a bachelor’s degree in mechanical engineering and then graduated with a masters in nuclear engineering. In 1975, he was called to active duty in the Air Force and worked on US space launches that used nuclear power. An analysis he did that identified a possible failure that NASA had overlooked caught their attention and he was invited to join the Galileo Mission, the unmanned spacecraft sent to study Jupiter and its moons. It was here that work on the Super Soaker began. “So in 1982 you could say that I had a fun day job working on these spacecraft in Pasadena, California, but all this time I continued to tinker on my own ideas in the evening. 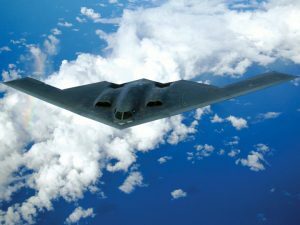 In fact it wasn’t until he re-joined the Air Force and relocated to a military base in Nebraska that Johnson would combine his work as first engineer testing the B-2 Bomber, the Stealth Bomber, with finishing his first prototype ‘soaker’. Sensing its potential, Johnson wanted to manufacture the gun himself but, when he got a quote of $200,000 for 1,000 guns, he quickly decided he would have to partner up with a toy company. There followed seven years of frustration and false starts. Then, in February 1989, Johnson went to the American International Toy Fair in New York and came across a company called Larami. The then vice president, Al Davis, was interested – sort of. Despite this lukewarm response, Johnson decided he would follow up the lead and started work on a new prototype of the water gun. He used plexiglass and PVC piping, and instead of keeping water inside the gun itself, a two-litre soda bottle sat on the top and acted as a water reservoir. The next challenge was one of commercialisation. This gun was way more complicated than the “little squirt guns” that were on the market, but after lots of work they brought the price down to $10. Even then, neither Johnson nor Larami were sure that anyone would pay anywhere near that amount for a water pistol. In 1990, the gun first appeared in the toy shops. It was called the “Power Drencher” and despite no real marketing support it sold well. Based on this initial success, plans for a bigger push were made. “The following year, we rebranded the toy the Super Soaker and did a big push on TV. That was the summer we sold 20 million guns, and I remember just staring at my royalties’ cheque in disbelief” recalls Johnson. Further generations of Super Soakers followed and today more than 170 Super Soaker models have been launched, generating more than $1bn (£760m) in revenues. 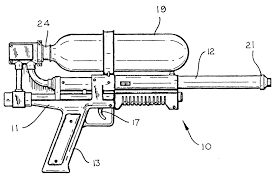 Johnson also went on to design the N-Strike range of Nerf dart guns, which used some of the same compressed air technology and earned him even more royalties. And what has Johnson done with all those royalties? “I didn’t buy a yacht or anything. I’ve spent the money on something much more interesting – to me, anyway. I have built a scientific facility in Atlanta, Georgia, which has about 30 staff”. And the moral is, what may seem like a little idea can turn into a big brand success. Do you have a little idea with big potential? Once upon a time, there were two stores. The second store is a little different. Life-size model giraffes and elephants stand amid old leather suitcases and wooden-crate racks piled with khaki “safari” clothing—Ghurkha shorts, pith helmets and chamois shirts with deep cargo pockets. A World War II Army Jeep balances on top some boulders in the front window and above the sales floor; an old bush plane hangs from the ceiling that has been painted to resemble a blue Zimbabwean sky. Safari and travel clothes include surplus military clothing customized with civilian touches like suede elbow patches, belts and wood buttons. Laying around were distinctive catalogues. They contained no photos of the clothes, no models posing attractively; instead, they featured beautiful illustrations of the clothing, printed in soft duotone, alongside stories of far away places and the romance of travel. The twist in the tale is that these two stores are in fact the same store, and if you haven’t guessed the brand, they are both Banana Republic. The second store is in fact the original store. It was set up by Mel and Patricia Ziegler and opened its doors in 1978 in Mill Valley, California. 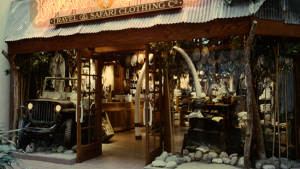 Family and friends admired the jacket’s look and this prompted the Zieglers to set up what was to become the Banana Republic Travel and Safari Clothing Company. While many Americans thought “surplus” meant only camouflage U.S. Army T-shirts, they seemed to fall in love with the exotic military leftovers the Zieglers scrounged on their international buying trips. For the next few years, things went well, riding on the back of films like Out of Africa, Romancing the Stone and the Indiana Jones series, the brand grew and grew. The Zieglers switched from selling adapted surplus clothing to using it as a template for manufacturing their own clothing. However when the stock market crashed in 1987 and sales wobbled – the brand made a loss in 1988 – Fisher worried about the future of Gap and indeed whether the safari fad had run its course, brought in Mickey Drexler. Drexler, who would go on to help revive Gap, wasn’t a fan of pith helmets and wanted to take Banana Republic in a more mainstream direction. He and the Zieglers clashed, and Mel and Patricia left citing the classic “fundamental creative and cultural differences”. Gap brought in a new management team and slowly at first and then with more momentum the brand shifted its focus away from khaki to one that included brighter-coloured casual wear and cruise line apparel. 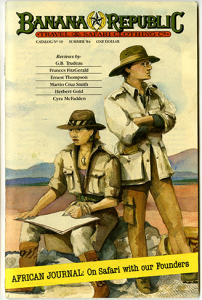 In 1989, the catalogue was discontinued. Stores were refurbished to reflect a more sophisticated, modern, urban style. The early nineties saw a positive turn-around for Banana Republic when it further diversified its product lines, adding a variety of looks suitable for the office and new advertising campaigns were adopted to sell the company’s new relaxed, urban lifestyle image. 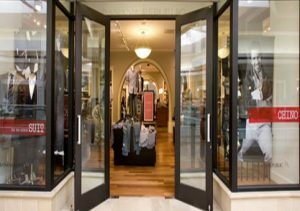 Nowadays it remains highly successful with over 600 stores around the world and has a loyal young clientele many of whom are too young even to remember the original concept. 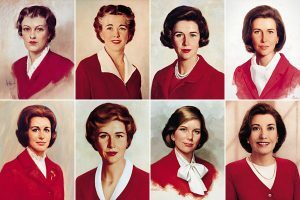 And the moral is that brand needs to decide what is an enduring theme and what is a fad, so they can adapt accordingly. Is your brand relying on a fad or a long-term theme? At the beginning of 2015, there were a number of jokes going around about a new Barbie – Retirement Barbie. Mattel had just announced that sales had fallen by 14 % in 2014, the third year running where sales had dropped by more than 10%. Barbie, who had been unveiled during the New York Toy Fair on March 9, 1959, and who had regularly brought in over $1 billion a year in global sales, now looked like she might be on her last legs. Indeed it was those anatomically inaccurate legs, waist and neck that many thought were the problem. The International Journal of Eating Disorders had reported that the odds of being born with a Barbie-like body are less than 100,000 to 1. It had been estimated that a Barbie-style waist would accommodate just half a liver and a few inches of intestine. Experts said her neck would crumple under the weight of her disproportionately huge head. In contrast, a doll with an average woman’s proportions had gained viral success; full-bodied models were being increasingly integrated into high-fashion campaigns; the single “All about that bass,” by Meghan Trainor, which celebrates curvy bodies had become an international mega-hit. Queens of Africa, a range of dolls launched originally in Nigeria and modelled on three of that country’s biggest tribes, was outselling Barbie in its home market and was gaining increased demand from Europe, Brazil and America. Something had to change and in the end it was Barbie and the senior team at Mattel who did. CEO Bryan Stockton resigned and Mattel brought back Richard Dickson as Chief Brands Officer, President and COO. He had helped lift Barbie out of a previous slump in the 1990s. In October 2015 a new communication idea, ‘Imagine the possibilities’ was launched. 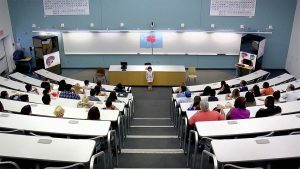 It was a radical departure from previous campaigns and featured a two-minute spot of young girls doing things their way – Veterinarian, Football Coach and College Professor. Young girls taking on adult roles to the initial surprise of the adults they encounter. 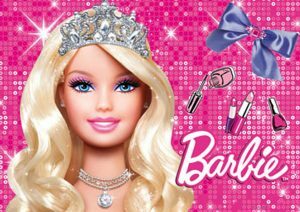 It’s a powerful idea, part of the “ongoing brand evolution that is designed to encourage parents to reappraise the role Barbie can play in [a] child’s life,” according to Evelyn Mazzocco, global SVP and general manager of Barbie. However, changing communication was never likely to be enough and on January 28th 2016 Mattel announced an even bigger change. 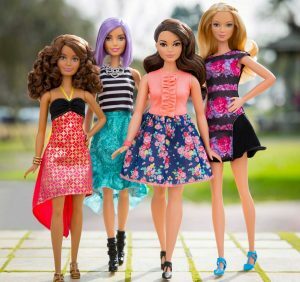 It released three new body types: Petite, Tall and Curvy. They were available in 7 skin tones, 22 eye colours, 24 hairstyles, and even had a flat foot option. New Barbie is clearly a modern re- expression of that philosophy and, while not everyone is completely convinced, the general feeling seems to be that many more girls can now play with a doll that more closely resembles them, rather than something they’ll never be. All eyes are no longer on Barbie’s figure but on the new sales figures. And the moral is as the world changes so brands need to stimulate change while preserving the core.